Okay. 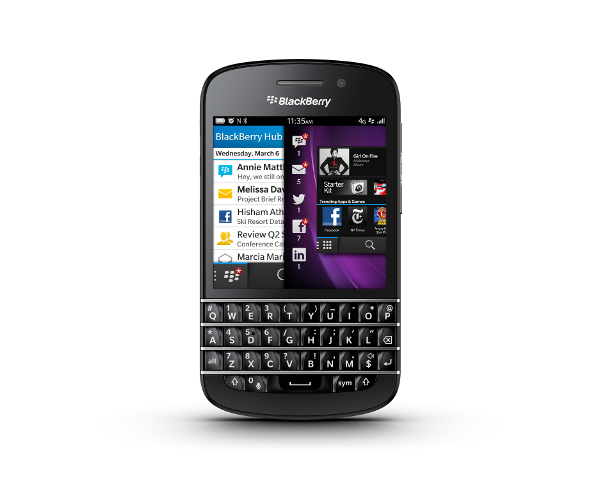 Here comes a second phone that runs the BlackBerry 10 OS: the BlackBerry Q10. The BlackBerry Q10 is a sister phone to the BlackBerry z10 released earlier in the year; but there are very obvious differences between the two smartphones. Very much unlike the Z10 which adopted the full touchscreen idea which seemed to be the norm for smartphones these days, there’s no mistaking the fact that the Q10 is a BlackBerry handset. The keyboard says it all, with distinctive rows of keys separated by bands of silver, and the shaping of the keys themselves, giving all the clues you need. 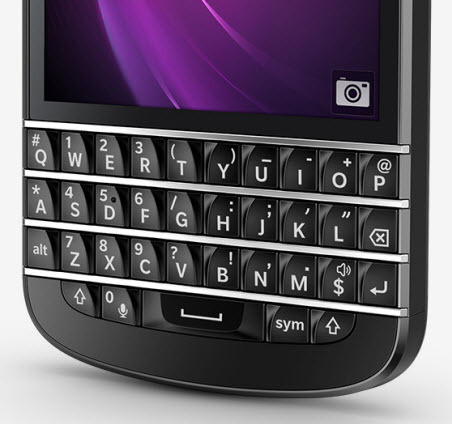 BlackBerry has quit on the curved keyboard design of the earlier models to a straight one; possibly to maximize space. The keyboard may seem to the smartphone connoisseur as an overhauled cliche but it is actually commendable… especially compared to the older generations of the BlackBerry handsets. Keys are easy to find under the fingers thanks to their center ridges, and even click a little when pushed. There’s a small nubbin on the D key whose second function is the number 5, helping you find the number keys by feel easily. The design is the first from BlackBerry without a section between screen and keyboard offering shortcut buttons and some sort of screen navigation device. This multi-use is welcome, but it makes the positioning of the Micro-USB port and a Micro-HDMI connector on the left edge of the phone rather irritating. The BlackBerry Q10 features a dual-core processor running at 1.5GHz and 2GB of RAM which is a suitable entry for this generation of mobile devices. The BlackBerry Q10 supports LTE, HSPA+ and EDGE with its microSIM sitting under the backplate. The backplate provides protection for a MicroSD card, which thankfully you can access without removing the battery. This can be used to augment the 16GB of internal flash storage, some of which is taken up by the OS and preinstalled apps: fresh out of the box, leaving about only 11GB free. The 2,100mAh battery, incidentally, is rated for up to 13.5 hours’ (3G) talk time and up to 14 days on standby. The Q10 supports Near Field Communication (NFC) and GPS and has a full set of sensors — accelerometer, magnetometer, proximity sensor, gyroscope and ambient light sensor. The BlackBerry Q10’s 720p display pumps out great looking colors and clear images with the help of Super AMOLED technology and a tight pixel density of 328 dpi — but, it’s a 3.1-inch square! While it may look good, even in direct sunlight, what you can do with such a small screen is a different story; and watching a movie would make quite a formidable example. Web surfing is another good example: surfing the web on a BlackBerry Q10 is quite a pain. When using a “business oriented” spreadsheet in Quickoffice or any MS Excel lookalike, you may have to agree that small screens and business software do not fit too well. An interesting feature for corporate users is the new BlackBerry Balance which keeps business apps, services and data separate from the user’s personal information. Anyone interested in speedy text-based communication will appreciate the feature called ‘Type and Go’. This builds on the universal search concept that lets you find apps, map locations, do web searches and more simply by typing on the keyboard then tapping the app or URL icon that appears. As long as you’re on a main screen and not in an app, you can type to make something real happen. Type “SMS Jack” and you can send a text if Jack is in your address book. Even typing “Email My Wife” will do a similar job. The phones main 8-megapixel camera at the back shoots 1080p HD video, while the front facing 2-megapixel camera can handle 720p. Both shoot in 1:1 (square), 4:3 or 16:9 aspect ratios, which are easily switchable via on-screen icons. 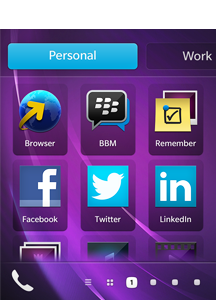 A big issue BlackBerry users may have is The Blackberry App World’s rather small library of applications and tweaks compared to iOS and Android. So, you don’t get to do too much random stuff with your Blackberry phone. Although being mission specific and business critical does seem like a good approach, it may just end up being boring as a whole when the hype is over. There are a few tasks that the Blackberry Q10 excels at; but these are those that it is designed for such as chatting with your Blackberry contacts, email functions and other “business” needs. It looks good as a Blackberry phone though; so if all you are after is a better BlackBerry then, the BlackBerry Q10 would work for you. The BlackBerry 10 OS would seem refreshing to almost anyone, and the BlackBerry Q10’s well balanced keyboard should impress; but for just a while… and then later, you might realize that the BlackBerry Q10 remains just another significant entry to the slow evolution of Blackberry phones. 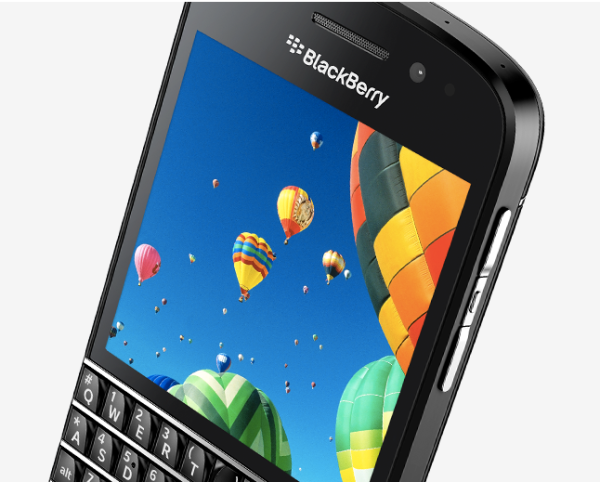 Nyc,bt blackberry still needs to step up to b attractive…..